Påskvagn '2017', längd över buffertar 54 mm. Model: The car is painted and decorated for Easter. Length over the buffers 54 mm / 2-1/8'. This Easter car for 2017 is presented in a translucent Easter rabbit. 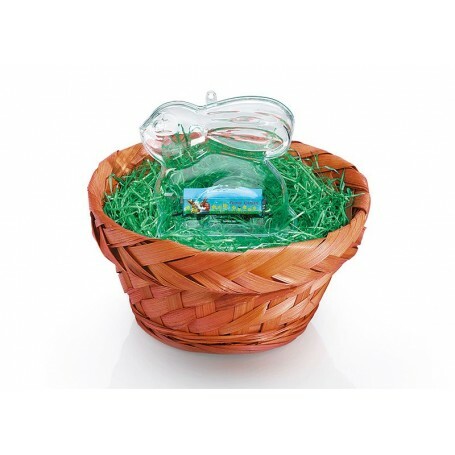 It comes in an Easter basket filled with Easter grass. One-time series exclusively in 2017.